Just a reminder, all of our stores will be closed for the 4th. We will re-open on Thursday at our normal hours, @ 10 am. We hope you will have a safe and happy holiday! 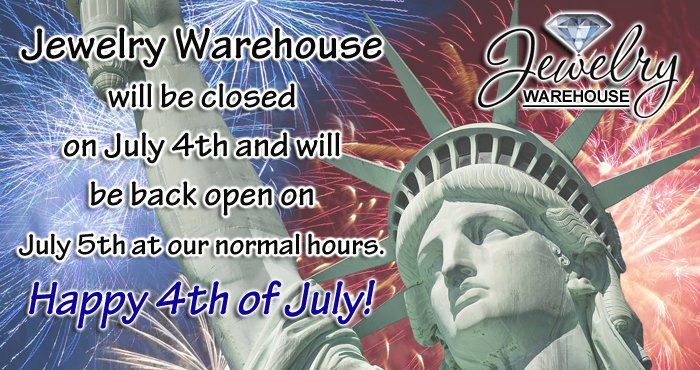 This entry was posted in Jewelry, Jewelry News and tagged 4th of july, jewelry warehouse, store closed for the 4th. Bookmark the permalink.